In times of economic uncertainty, the British are sidestepping luxuries and taking comfort in everyday treats. Custard creams, bourbons and digestives to be precise. With food prices escalating it seems that shoppers are steering clear of expensive snacks and reaching for a familiar biccie. A Lancashire manufacturer is expanding its business to keep up with demand. Hills Biscuits has taken out a loan of £276,000 from the Manchester Investment Fund to help the expansion, and will create 45 new jobs in their factory. The company has been in existence for 158 years and has been independent since 1980 after an 11 year spell under the ownership of confectionery giant Rowntree’s. 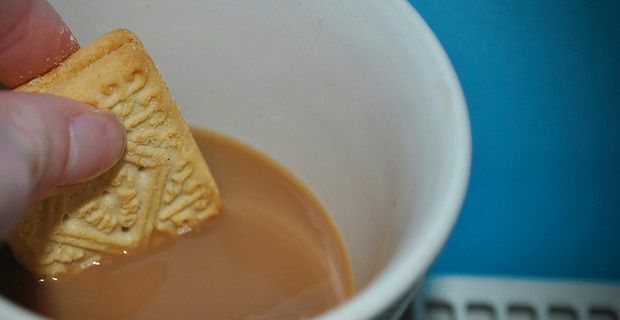 It makes own brand biscuits for major supermarkets, as well as exporting to the Caribbean and Australia where there is a nostalgic fondness for British biscuits. Managing director Steven Wetherby attributed the growth to increased demand for biscuits from value-conscious shoppers, saying, "Everyday biscuits are a growing market because people have less disposable income these days." Hills will recruit the majority of their new staff through local job centres, offering opportunities to the long-term unemployed to learn crucial skills like slapping on the cream fillings and making sure that the digestives have the right amount of snap and dunkability. Hills is not the only beneficiary of Britain’s rekindled love of the biscuit. Mondelez International, a branch of the Kraft food giant, has started manufacturing biscuits at its Sheffield plant, including the well-known American Oreo cookies. It’s a sign that the recession has now become so established that British consumers are changing their buying patterns quite radically. Further evidence can be seen in the way that retail giants like Tesco and Asda are witnessing their market share being eroded by the discount chains Lidl and Aldi. Where you can buy a packet of biscuits for 20p.